Summary: If you work in the meat and poultry industry, and you have sustained an injury or illness as a result of the work you do, you may be entitled to workers compensation benefits. Workers in the meatpacking plants and slaughterhouses are exposed to harsh working conditions. Although over the years, most workplaces have become much safer, many feel that the total number of accidents in the poultry and meat industry are underreported. This issue has also been raised in a recent article published in NPR. In this post, our St. Louis Work Comp Attorneys will discuss the risks faced by workers in the meat industry. The recent report is an update to the 2005 report, which had raised serious concerns over worker safety in the industry. In the nine years after the first release of the article, around 150 workers have died due to workplace injuries in the poultry and meat slaughterhouses. This fatality rate is much higher compared to that in other similar industries involving factory work. Man experts believe that this number is not a true indicator of the fatality rate in the industry, because many accidents go unreported. The major problem in this industry is that a large number of workers on the factory floor are not employed directly by the owner, but by a third party. Whenever a worker gets injured or killed, the accidents are not recorded as work related injuries in the meat and poultry industry. Another reason why injuries go unreported is that the doctors often treat the workers and encourage them to return to work on the factory floor as soon as possible after the injury so that they have to take little time off from work. It is often seen that workers do not seek medical attention for an injury until it begins interfering with their work. They often make repeated visits to the first aid station before they actually go to a doctor for treatment. There is another important reason why workers in the meat and poultry industry do not report their injuries. Many of them are immigrants, and are intimidated into not reporting their workplace injury or illness. They are under fear of their employer complaining about anything or retaliating, so they do not report their injury even if it is serious enough to require medical attention and time off from work. 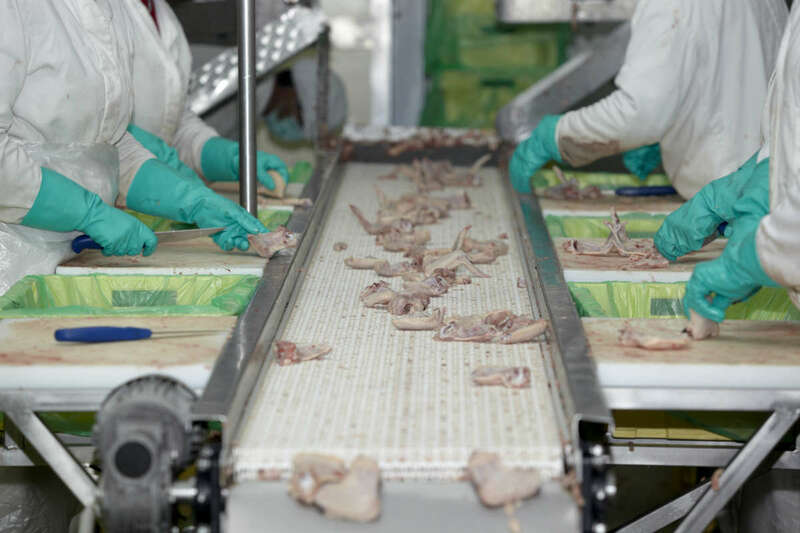 Apart from physical injuries, workers in the meat and poultry industry are also prone to a variety of illnesses due to unsanitary working conditions. This is where government can take steps to ensure that workplaces are safe for workers. If you work in the meat and poultry industry, and you have sustained an injury or illness as a result of the work you do, you may be entitled to workers compensation benefits. You should report the injury to your employer or supervisor, and seek workers compensation benefits without any fear of retaliation. Call (314) 361-4300 today to schedule a free case evaluation with an experienced Missouri work comp attorney today!